The NSGA Management Conference and Team Dealer Summit brings together a diverse group of sporting goods retailers, institutional team dealers and manufacturers, as well as service providers who play an important role in making these businesses better. Join your colleagues for this event packed with a variety of opportunities, including education, networking, innovation and industry recognition. Learn from the best marketing minds in a premier riding destination. Whistler Bike 2019 will bring together leaders in digital innovation, marketing, entrepreneurship and more. If it's a hot topic, it's on the agenda. Add the opportunity to ride the No. 1 lift-accessed mountain bike park in the world, The Whistler Mountain Bike Park, top-tier fine dining and the chance to ride trails featured in the Enduro World Series — it's the three days of the season your company can't miss! Dirty Kanza rider sign-in will take place during the All Things Gravel expo, guaranteeing exhibitors will reach their target audience. 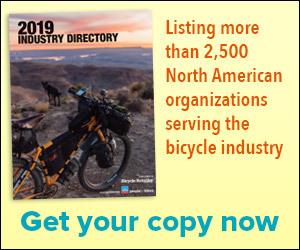 This open-air/street market-style event is held rain or shine, and expo display opportunities are available to all organizational members of the cycling and outdoor sports industries who wish to serve the gravel cycling community. Spaces are limited. Deadline to register is May 1, 2019. The mission of the Dirty Kanza 200 is to provide the ultra-endurance cycling community with a high-quality gravel event at an exceptional value. The event will be structured in such a way to be extremely challenging, but at the same time possible to complete. We will strive to effectively utilize the ruggedness and remoteness of the Flint Hills region to properly challenge the self-sufficiency of event participants, while at the same time provide an appropriate level of support, to ensure an enjoyable, life-enriching cycling experience. The Primal Colorado Bike Expo is the annual kickoff event for cycling in the state of Colorado, bringing together industry professionals, recreational riders, biking enthusiasts and utilitarian riders with the latest products, consumer trends, screaming deals, organized rides, clubs and teams, advocacy groups and cycling destinations. The two day festival and consumer show also includes BMX flatland and aerial stunts, a kid zone, adult big wheel races, ride clinics, demo area, live entertainment, beer garden, food trucks and more. AIDS/LifeCycle is a fully supported seven-day, 545-mile bike ride from San Francisco to Los Angeles, co-produced by and benefiting San Francisco AIDS Foundation and the Los Angeles LGBT Center. The event raises awareness about the ongoing HIV/AIDS epidemic and funds services such as HIV testing, prevention, care and much more. Since 1993, when the ride began as a for-profit event called California AIDS Ride, participants have raised more than $200 million and completed more than 42,000 journeys on bikes from San Francisco to Los Angeles. This three-day festival was created to allow thought leaders to learn about emerging trends in micro-mobility and connect with decision makers with events including demos, rides, talks and more. Contact Nat Ross at 970-390-9730.